If you live in an apartment or a small house, then you know that space is at a premium. However, that doesn’t mean that you have to compromise on your fitness regimen! You may think that a treadmill is not something that is feasible when you have limited space, but the truth is there are plenty of compact treadmills available that take up only a small amount of space in your home. 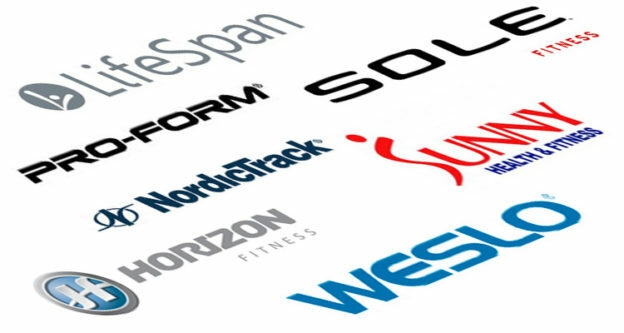 We have put together a brief summary of some of the smallest treadmill models on the market right now to help you to find one that will suit your needs. When you are looking for a small treadmill, the most important thing is obviously going to be its size, but it still needs to have all of the other functions and features that you need in order to ensure that it properly meets your fitness needs. The Weslo Cadence G 5.9 Treadmill is the largest one on the list, but it is still very much in the compact treadmill category! It is 64.5 inches in length and has a width of 29 inches. It does fold up for easy, compact storage, but the larger size offers a bigger running deck that most users are going to find more comfortable to use. This particular model is probably one of the best compact treadmill models we have seen because it offers up to 10mph speeds, 2 incline positions, 6 built in training programs and a comfort cell cushioning feature to absorb impact on the joints. It is also great for apartments because the motor is reasonably quiet and is not going to bother the neighbours. The Confidence Power Plus Motorized Electric Treadmill is a really great choice if you are looking for a compact treadmill that will not take too much space in your home. It is 49 inches long and 24 inches wide, with a folded footprint of 49 inches by 24 inches. Some of the smaller treadmills are manual ones, but this has a motor meaning it takes less effort to use, but is going to offer you a more consistent workout. This is a budget model and it doesn’t have incline settings or training programs, but it is fine for a basic workout to keep you active in your home. The Lifespan TR1200i Folding Treadmill is 33 inches wide and 70 inches long and folds for easy storage without taking up too much space. It is a popular choice from home fitness enthusiasts since it features a cushioned 20 by 56 inch running deck despite being a small treadmill. It is suitable for individuals weighing up to 300lbs and features several weight loss, healthy living and healthy heart program settings. The Phoenix 98510 Easy-Up Manual Treadmill is another really great small treadmill for home use. It is 46.5 inches long and 21 inches wide. It is a manual design and can fold down flat fairly easily. This particular model is great for brisk walking and jogging, but has a pretty narrow workout area, so you may not feel comfortable running, but that all comes down to your personal preference. The treadmill has a maximum weight capacity of 250lbs and it is a great choice for beginners who are getting started with trying to lose a little bit of weight. The overall footprint when folded is 21 inches by 21 inches and it stands about 50 inches tall. The Confidence Fitness Magnetic Manual Treadmill is one of the smallest treadmill models around at just 47 inches in length and 19 inches wide. It is incredibly lightweight and compact, so it is not going to take up very much space at all in your apartment. 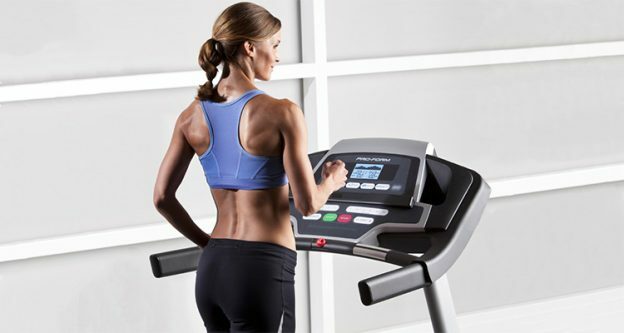 It is a manual treadmill which means that you need to power it with some leg work. 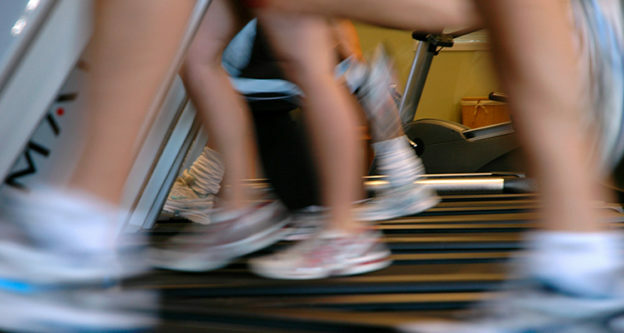 When you move, the belt moves and the faster you go, the faster the treadmill goes. This is really going to maximise your workout! 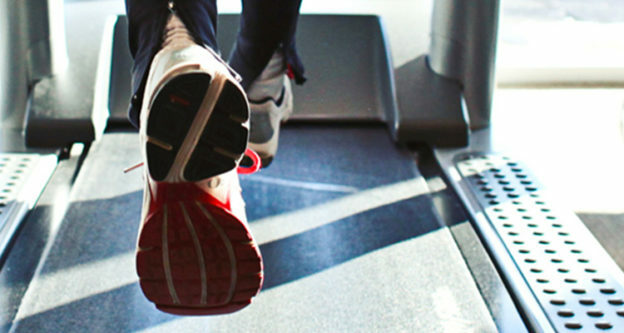 The actually running surface is 14 inches by 39 inches, so it may not be the best small treadmill for people who have long strides, but generally speaking it will be ideal for those under 5’10” in height. 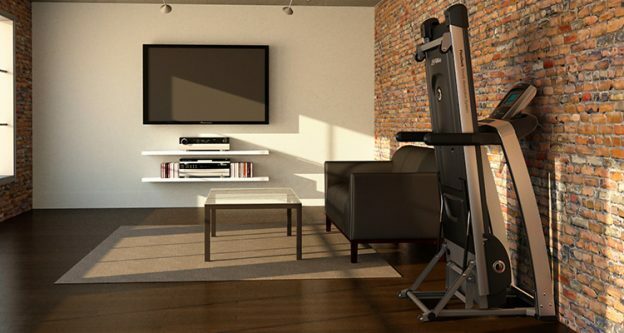 Just because you have a small living space that does not mean that you are going to have to forgo using home fitness equipment. There are lots of compact treadmill designs on the market that you can easily fit into a small home or apartment. It is just a case of taking the time to research the sizes and seeing which one is going to fit the space that you have.